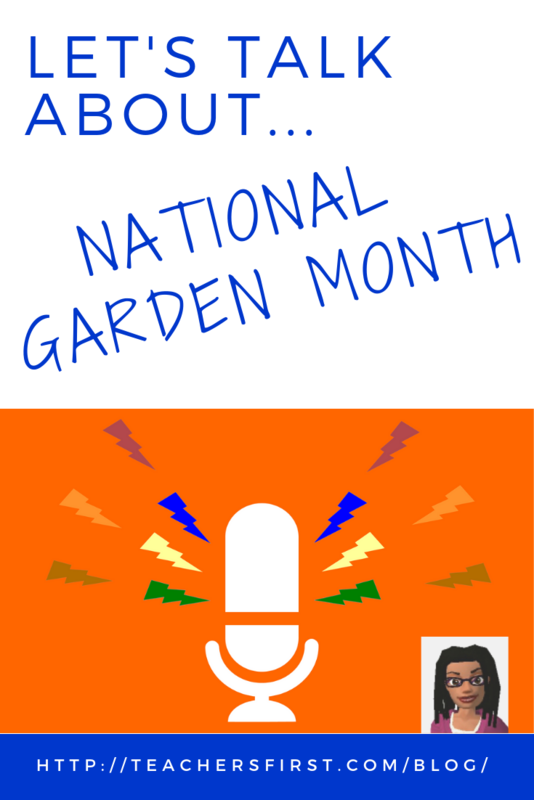 April is the ideal time to observe National Garden Month. Winter is over. Growing cycles are starting again here in North America. It’s the perfect time to celebrate with Mother Nature. There are a lot of reasons why students in school should be involved in gardening activities. It fosters a Maker Mindset – a bent towards innovation which asks “what can I do with what I know.” Gardening at school is also a great STEM activity which has an added benefit of teaching life skills. Environmental Responsibility – We’ve all heard that we need to save the bees. Gardens provide a bee-friendly environment that all of our students can easily have a stake in creating. Patience – Part of gardening is waiting for things to grow. You can’t rush the process no matter what you try. Students will learn to anticipate their harvest while waiting for plants to mature. Resilience – Gardening doesn’t always work out the way you hope it will, but you can’t give up. Students will learn to recover from temporary setbacks. 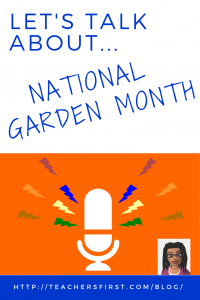 Want to learn more about gardening with students? Check out these resources and then leave us a comment to let us know how you plan to infuse gardening in your school. National Garden Month has been a great theme in my biology classes! Without realizing it, this post showed how the cross-curricular component is present and can be developed even further. Designing a controlled experiment (I used daffodils because they bloom in spring) is science. Quantitative observations (math) and qualitative observations. Creating a shared google document for multiple class data calculation (technology). Next year I am going to add the vegetable side and use it to parallel with nutrition!